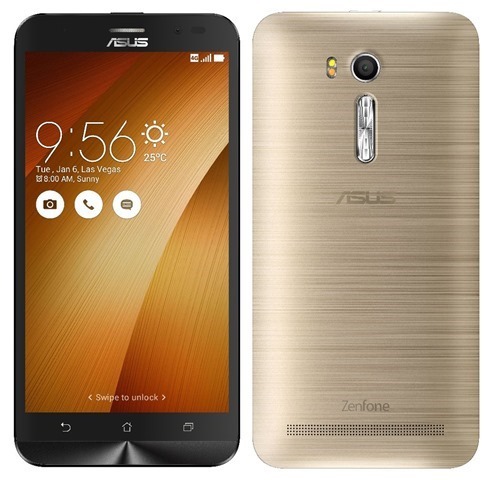 ASUS has launched a new variant of its budget friendly phone, the Zenfone Go with a 5.5-inch display, in India. The phone was previously launched with a 5.0-inch display. The ASUS Zenfone Go's 5.5-inch screen is a HD 720p IPS Panel with a brightness of 500 nits, and has a built-in Bluelight filter. The device runs on Android 6.0 Marshmallow with ZenUI 3.0 on top, with ZenMotion gestures to launch apps, and double tap to wake. is powered by a Qualcomm Snapdragon 410 (MSM 8916) processor with 2GB of RAM, and an Adreno 306 GPU. The phone has 16GB of storage with a microSD card slot capable of supporting up to 128GB of expandable memory. The Zenfone Go has a single speaker, and has an ergonomic arc design, with the volume rocker keys on the back panel, which can also be used for taking selfies. Speaking of which, the snapper on the front is a 5 megapixel camera f/2.0 aperture, while the main camera is a 13 megapixel pixel master camera, with an f/2.0 aperture, Dual-LED real tone flash. The phone has dual internal microPhones with Noise Cancellation, dual sim cards with LT Cat. 4, and packs a 3,000 mAh battery. The ASUS Zenfone Go 5.5 will be available exclusively on Amazon India for INR 8,499, in 2 colors - Charcoal Black, and Sheer Gold. ASUS has informed Geekiest, that the Zenfone Go 5.5 variant will be available exclusively on Amazon from tomorrow, 12th May. 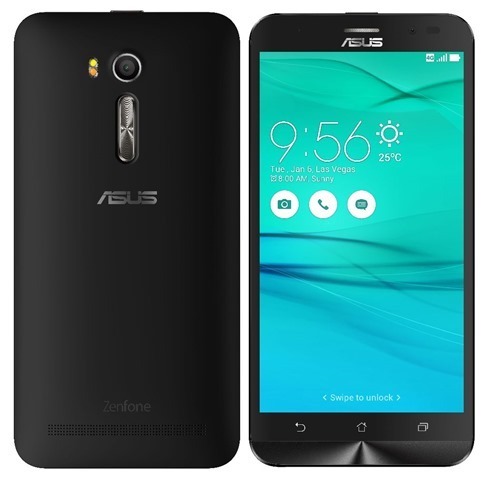 ASUS Zenfone Go with 5.5-inch display launched in India and here are the complete tech specs.